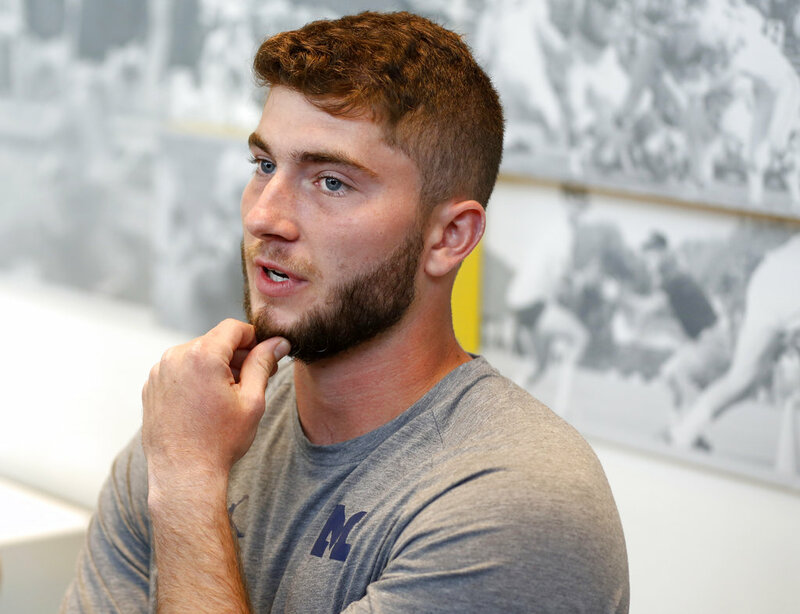 Kurt Steiss/The Blade via AP Michigan quarterback Shea Patterson speaks to reporters on Thursday at Schembechler Hall in Ann Arbor, Mich.
ANN ARBOR, Mich. (AP) — Michigan’s offense is expected to be different with Shea Patterson at quarterback, taking advantage of his mobility and ability to throw on the move. “It’s going to be a little bit of everything,” he said Thursday night, speaking to reporters for the first time since being named starting quarterback. He smiled after saying he’s adjusting well to the team’s new scheme. He has become comfortable at Michigan after enduring weather he hasn’t lived in since growing up in Ohio.